“How do Chick-fil-A restaurants attract so many good employees?” People ask me this question all the time. Here’s what we all know: Good employees perform better for good bosses. Good employees are happy employees when they work for a good boss. Good employees gravitate toward good bosses. Good employees like to choose their boss. That is the answer. It is no secret. There are no secrets. However, I admit that employees can only select a good boss if a good boss is available. There are a lot of good bosses available within Chick-fil-A, and there is a good reason as to why. On April 13, 1977, Huie H. Woods chose Truett Cathy for his boss and joined the Chick-fil-A family. He practiced Creative Followership; although, he did not call it that because I had not yet invented the name. Huie took charge of recruiting and selecting Chick-fil-A restaurant franchisees. He looked for franchisees capable of successful business management and selected men and women who would make good bosses. Huie made it his objective to satisfy Truett Cathy’s mandate: to have well-run restaurants that would not just open, but stay open and be good places for employees to work. Every time Huie interviewed a franchisee candidate, he asked himself this question, “Would I want my children to work for this person?” He wanted the restaurant employees to have a good boss to choose. He set the standard and philosophy that continues today – select franchisees who would be good bosses. Huie is retired, but his philosophy is alive and well. What a great legacy! Do you like what you see? Thank Huie Woods. In order for anyone to choose a good boss, there must first be a good boss to choose. Wouldn’t it be great if more organizations provided good bosses to choose? Think about how the performances of those companies would soar! 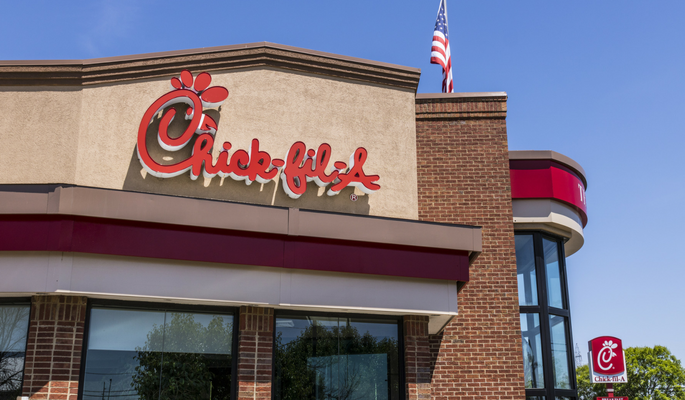 Until that happens, fortunately, there are some businesses like Chick-fil-A, fully committed to providing potential employees with a good boss.